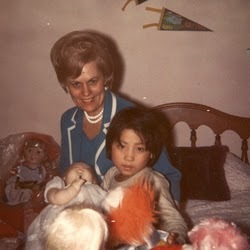 Deann Borshay was adopted into the United States from Korea in 1966. First Person Plural is the first of two documentaries she has created to share the unique aspects of her story. Borshay was living at an orphanage in Korea. She was adopted by two Americans who had been sponsoring a different girl at the orphanage. When that girl returned to her family, the orphanage substituted Borshay. Orphanage staff told her to assume the other girl’s name and to keep her own identity a secret. The orphanage director advised her, “Don’t tell [your adoptive parents] who you really are until you’re old enough to take care of yourself.” Many adopted individuals might relate to Borshay’s statement, “I feel like I’ve been several people in one life.” She notes that she’s had three names and three identities. Borshay eventually told her parents, “I’m not [who you think.] 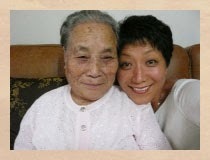 I think I have a mother and siblings in Korea.” Her family dismissed her confession as childhood confusion and dreams. Later, they did support her (with some reservations) as she uncovered truth about her past and her birth family. Borshay and her parents eventually return to Korea to seek out Borshay’s history. Even in Korea, they struggle to embrace a holistic concept of their daughter’s identity (her mother says that she “can’t equate” Korea with her daughter) but the most important thing is that they go with her to Korea – they embrace her enough to join her in her quest for identity. It’s not important to them personally except for that it’s important to her, and that seems to be good enough. Check out my review of Closure for another full-family reunification trip. Borshay and her adoptive parents eventually meet her mother. She learns the story of how she came to live at the orphanage. Her family celebrates her return. Her mother affirms the value of Borshay’s adoptive parents. She also acknowledges the ongoing pain she feels at having relinquished Borshay. The film introduces the mixed emotions felt by each person involved in the adoption; Birthfamily members grieve her loss and are proud of the opportunities she has had. Borshay appreciates the life she has, but feels a sense of rejection that she was the only family member sent away. Borshay also has to craft a way to develop a new relationship with her Korean mother. She also finds that meeting her birthmother has helped her feel closer to her adoptive mother. If anything, this film is balanced. It shows how the same adoption brought hope and grief, happiness and sadness to the same people. It’s worth seeing for adoptive and prospective adoptive parents. How many identities do you feel like you have? What do you think your kids would say? Is it possible to have more than one “real” mother? What will you do to help your child create a holistic sense of their own identity? If non-communication is a two-way street, what will you do to make sure that it doesn’t happen?